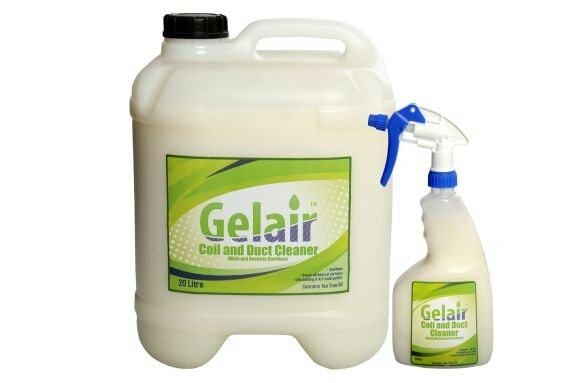 Gelair™ Coil and Duct Cleaner is specifically designed for use in air conditioning systems to clean and sterilise air conditioning cooling coils and ducts. Gelair™ Coil and Duct Cleaner kills mold and bacteria and is specifically formulated to stick to vertical surfaces for longer ensuring effective action on difficult to reach surfaces. Gelair™ Coil and Duct Cleaner is available in two different size options, a 750ml trigger spray bottle or 20 litre refill drums.